Skimmerin' is a Scots word listed in Chambers's Scots Dictionary as having eighteen different meanings including "shimmering or glittering". 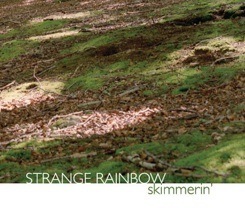 ________________________________________________________STRANGE RAINBOW is a project by Scotland's dynamic and innovative traditional style harpist Catriona McKay and electronic music guru Alistair MacDonald. STRANGE RAINBOW play in imaginary worlds where the familiar dissolves into the unfamiliar. This is a very deliberate meeting of traditions. Catriona McKay plays a customised clarsach (Scottish Harp) with sounds processed by Alistair MacDonald's laptop, along with soundscapes drawn from the environment. 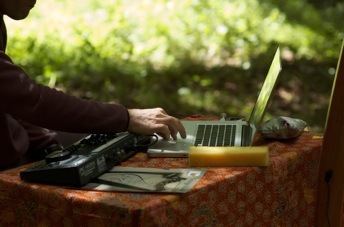 As a duo they make music that seems at once dislocated and greatly concerned with roots and connections; a rendering of traditional language refracted through contemporary performance technique, and then again through the transformations of live electronics to explore new, unimagined colours.